Morocco will have to wait until 2018 to hear the final verdict on its application for ECOWAS membership. 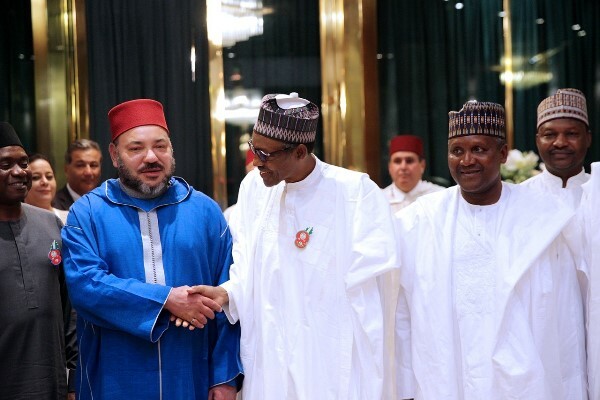 A committee, made up of the five heads of state of Nigeria, Togo, Côte d’Ivoire, Ghana and Guinea Conakry, will study Morocco’s membership to the ECOWAS, stated a communiqué sanctioning the works of the 52nd ordinary summit of the regional organization, held in Abuja over the weekend. It was unclear whether technical considerations would be posited or whether both political and strategic aspects will prevail. An impact study on the Kingdom’s membership was commissioned earlier this year and ECOWAS teams travelled to Morocco to carry it out. The study report was released on December 7, just a week before the summit. At the conclusion of the Abuja summit, the regional bloc decided to set up a committee composed of the Togolese, Ivorian, Ghanaian, Guinean and Nigerian presidents to adopt the terms of reference and oversee the in-depth study of the implications of Morocco’s full membership, as well as the status of Tunisia as an observer and Mauritania as an associate member. The study highlighted that from a legal standpoint, there is no provision allowing Morocco’s accession, but nothing prevents it either. In terms of security, Morocco’s accession would be a value added for the region; and from a commercial point of view, the Kingdom is the second non-ECOWAS African investment partner in the region, after South Africa. Actually, Morocco is no stranger to the zone given the economic and political links it already has with the member states. In this regard, it should be recalled that, with the exception of Togo, Mohammed VI visited the other four countries making up the membership steering committee before Morocco submitted its membership application. The Monarch has even visited Côte d’Ivoire twice in 2017, in February and November. It is up to the Committee of Five Heads of State to set the deadlines for Morocco’s membership. Posted by Emmanuel Agbenonwossi on December 19, 2017. Filed under News. You can follow any responses to this entry through the RSS 2.0. You can skip to the end and leave a response. Pinging is currently not allowed.